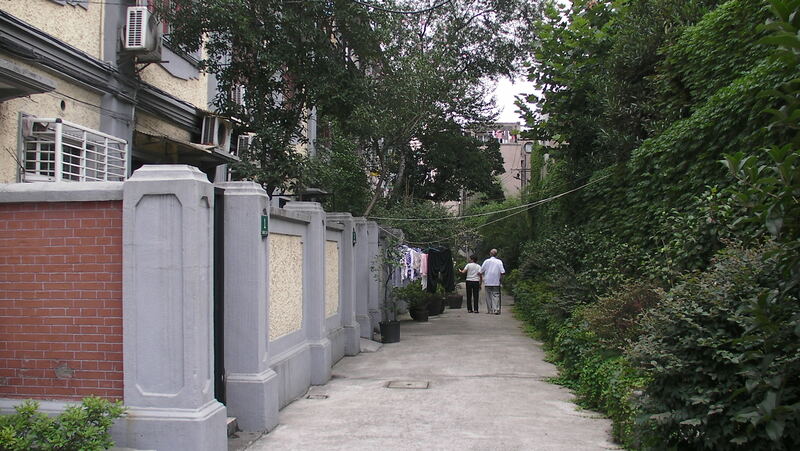 I was in Shanghai visiting my brother and sister-in-law last Summer and I stayed with them in a delightful (but very badly restored) traditional courtyard property. 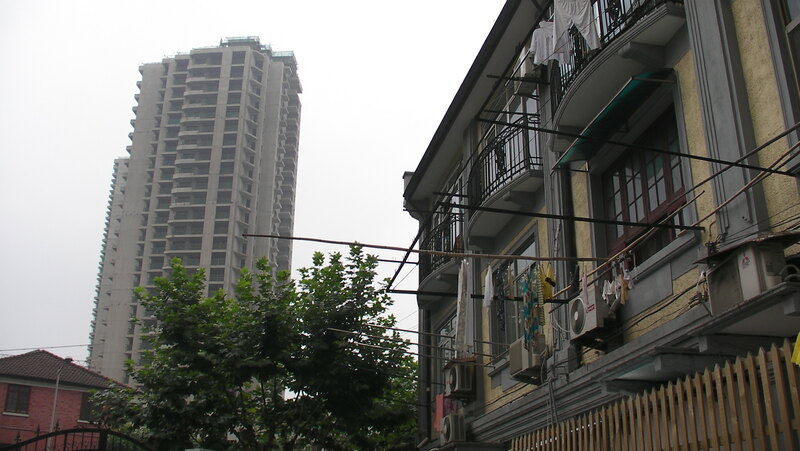 Each time I go to Shanghai, I am amazed and disillusioned in equal part by how the city has changed and expanded. 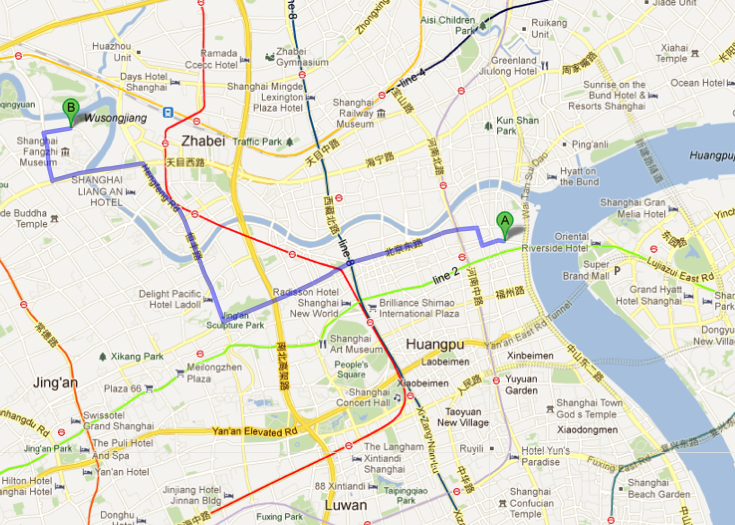 By all counts, Shanghai is probably one of the biggest metropolitan areas in today’s world, surpassing London. Sitting in a cab heading towards Shanghai’s biggest metropolitan park – the Shanghai Forest Park in what is equivalent to Zone 6 in London – I couldn’t help but wonder at this endless city that is becoming a simulacrum (albeit a little more polluted) of another endless city that fascinates and disgusts in equal measure – Tokyo. 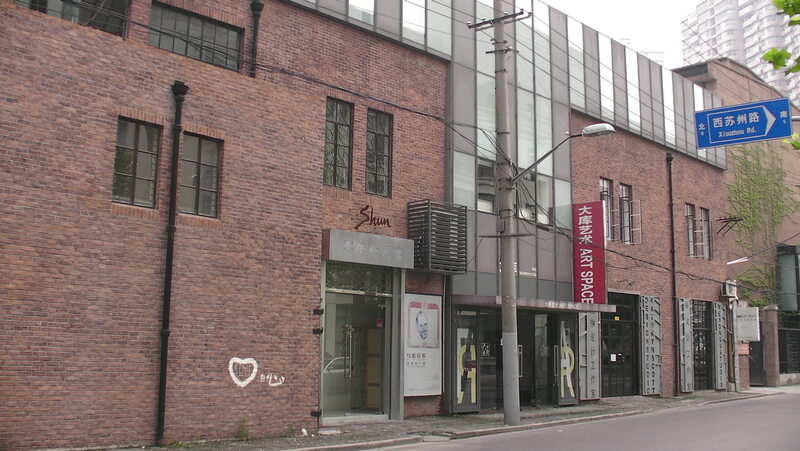 This time I took the opportunity (while not spending time with my family) to check out the newly gentrifying art district of Moganshan – touted as Shanghai’s answer to the 798 Art District in Beijing – that once-edgy-but-now-totally-gentrified-and-commercialised contemporary art cluster. Quite sadly, Moganshan appeared to me to be going the same path as 798, if it hasn’t already. 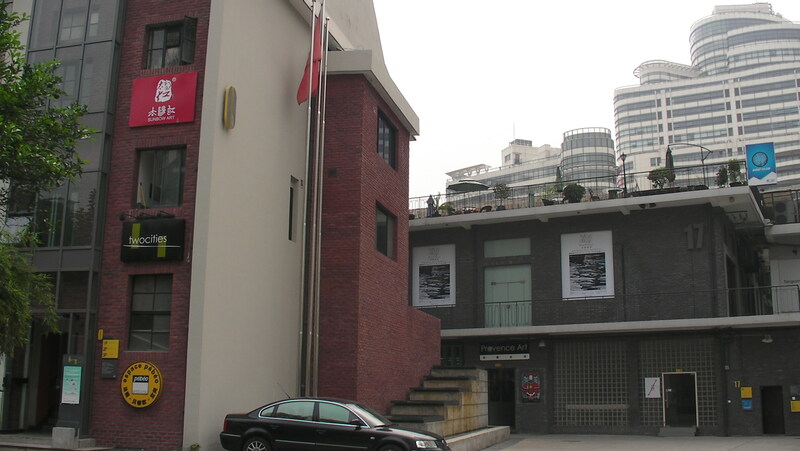 Which I suppose, is completely in keeping with Shanghai’s identity as a commercial centre for art, rather than Beijing’s centre of art creation. 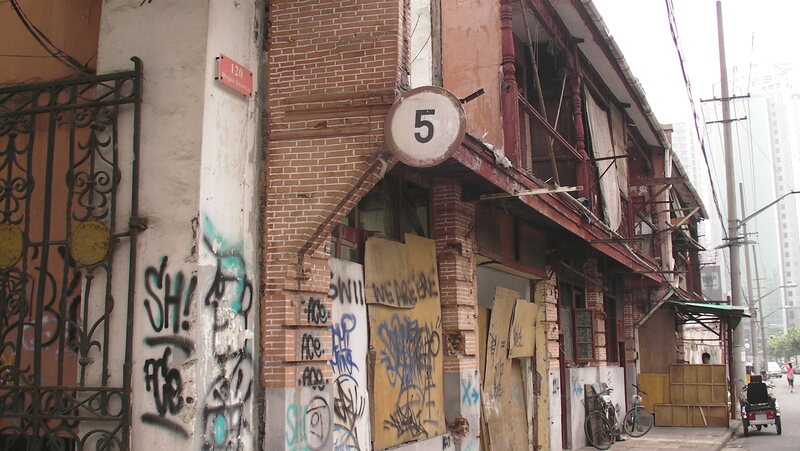 Here is a photo-journal of the area around the precinct. 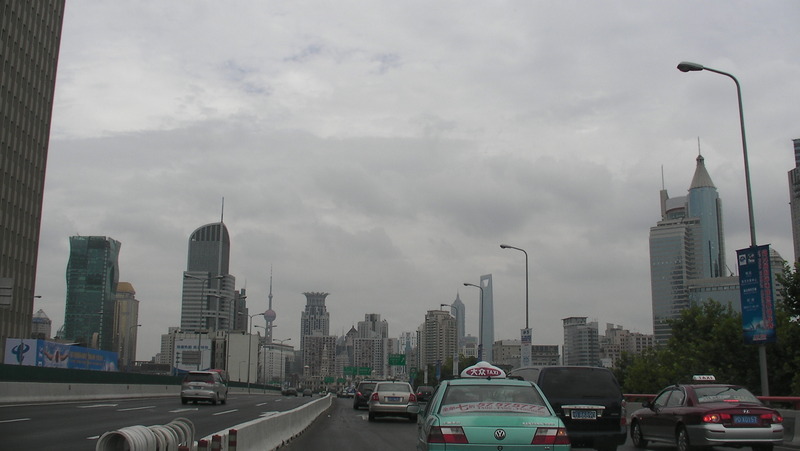 The Endless City – It takes almost an hour by cab dashing at breakneck speed through Shanghai to get to Pudong International Airport, much longer than the time it takes to London Heathrow. 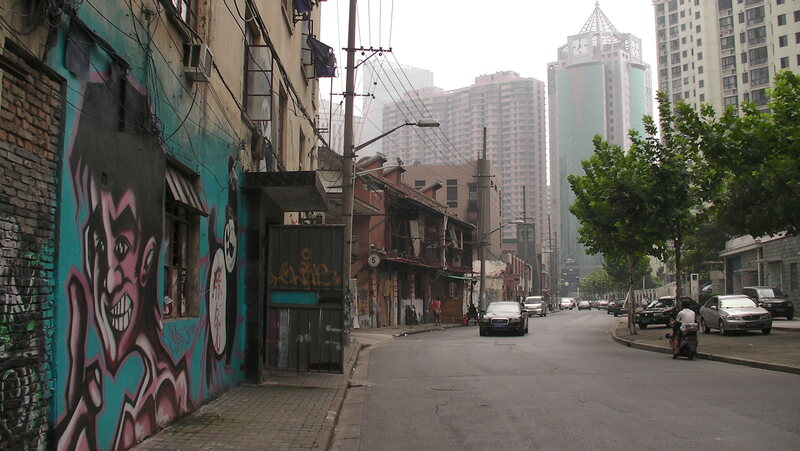 Along the way, there are nothing but high-rises, nondescript, self-replicating, soul-less. A Contrast in Lifestyles – there are still a few pockets of traditional housing precariously clinging onto existence in the city centre. This is where I stayed. The contrast between somewhat-old and new is stark. Hustle and Bustle – As a Mega-city, the hustle and bustle is never far away. Where I lived, one could hear traffic all day and night long. I was a little exasperated those first evenings at my brother’s. A Moment of Respite – Surprisingly, within the city centre, there were still spaces and moments of respite for its residents, which somehow humanised the city and made it a little more approachable. This is a view down the courtyard of the compound my brother lived in. I loved this tender moment between the elderly couple, though I recognised that it felt VERY out of place. 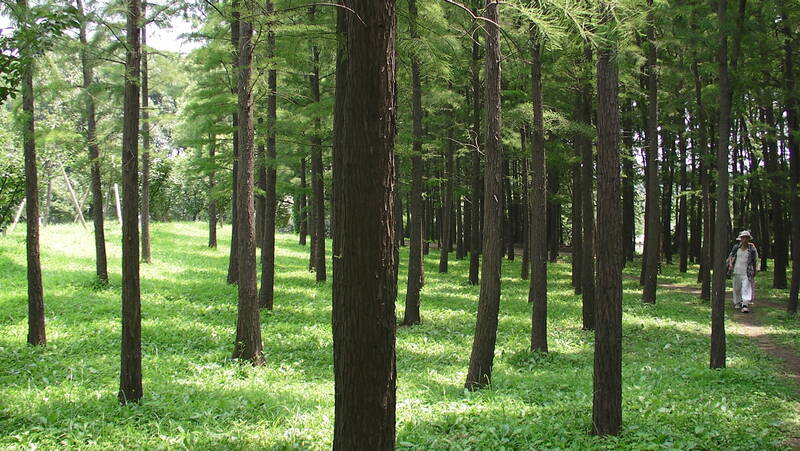 Shanghai Gongqing Forest Park (上海共青森林公园) – for the space-starved denizens of the city, the nearest real park is miles away, in the Zone-6 equivalent of metropolitan Shanghai. Yet, it is immensely popular and thronged with locals. 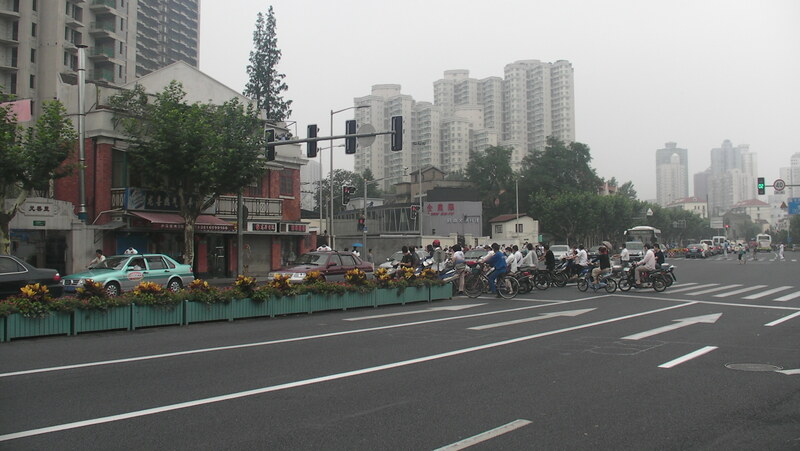 Which makes me think: clearly Shanghai really needs more parks in the city centre. 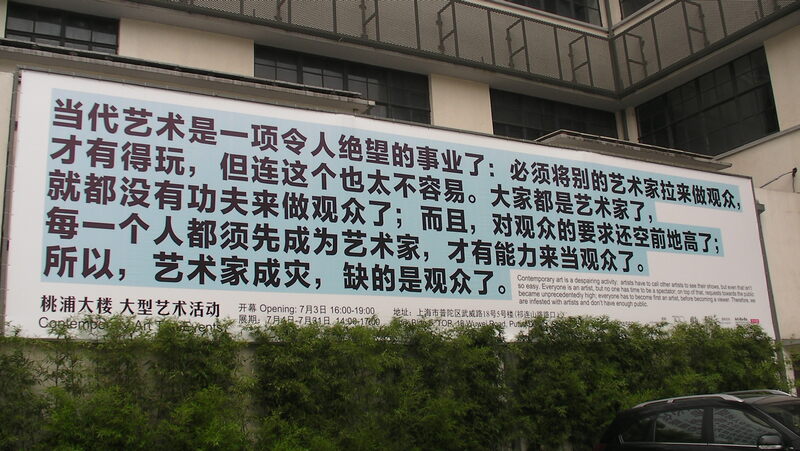 If only the Capitalist-communist Government would pay attention to what it’s people need. 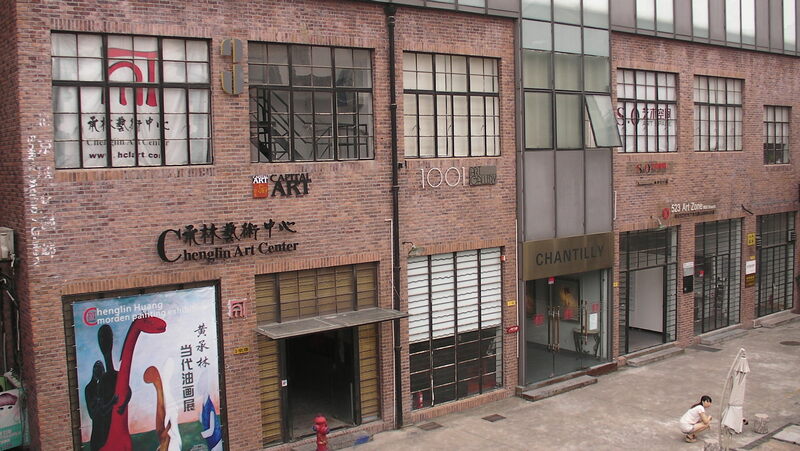 Moganshan Art District – the rather nondescript entrance to the cluster. 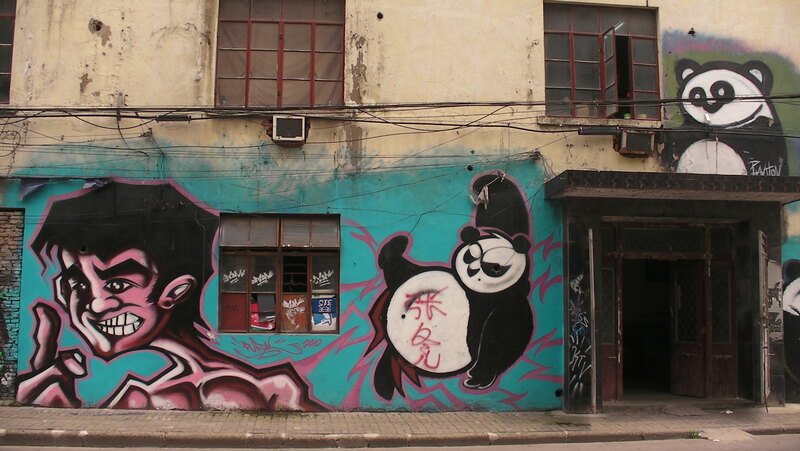 Graffiti: Bruce Lee and Lung Fu Panda – it was very refreshing to find actual instances of street art in Shanghai, some of which was very radical. 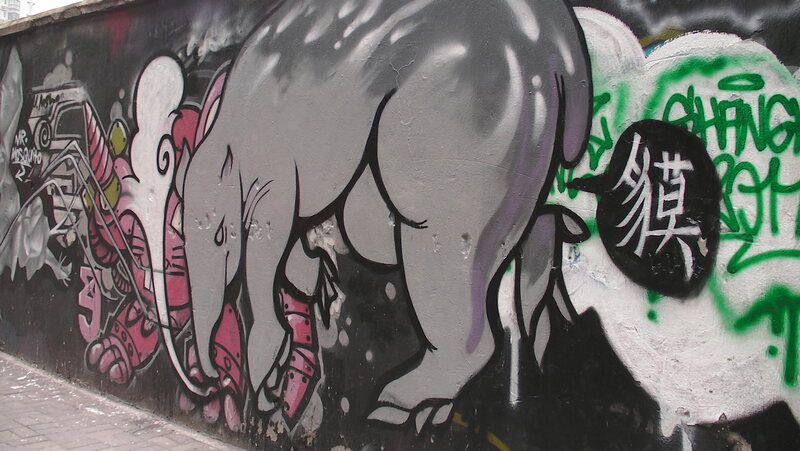 Graffiti: A Farting Anteater – There was an entire wall of graffiti, reminiscent of Berlin’s East Side Gallery (more in another post). 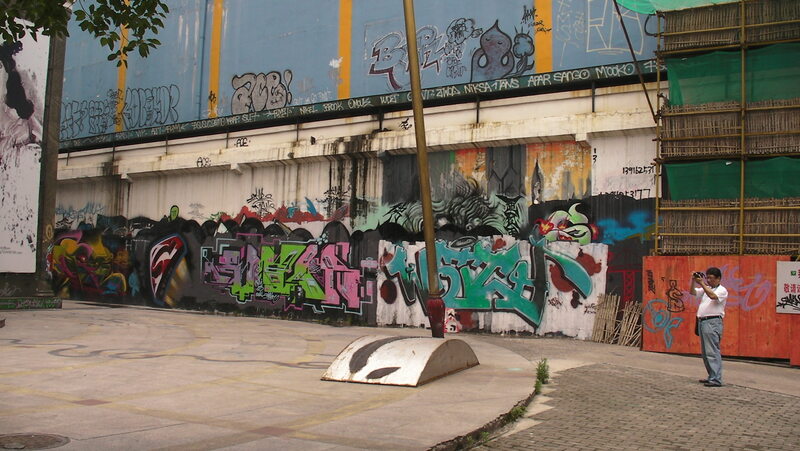 This is simply a small glimpse of the richness of street art. 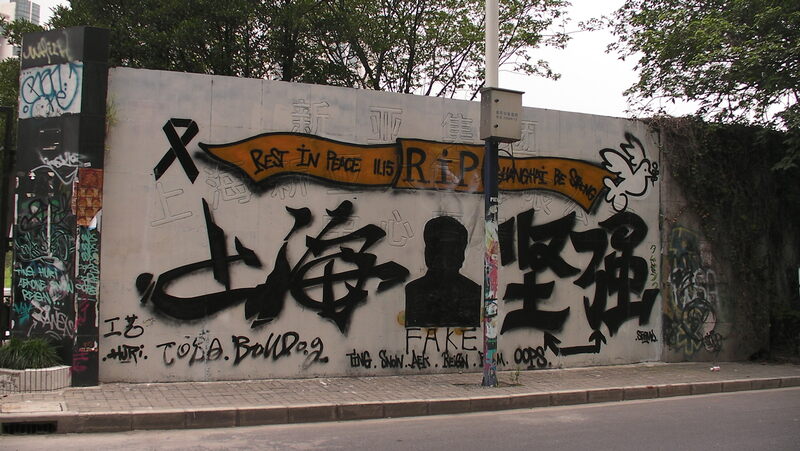 Graffiti: “Stay Strong, Shanghai” and R.I.P. 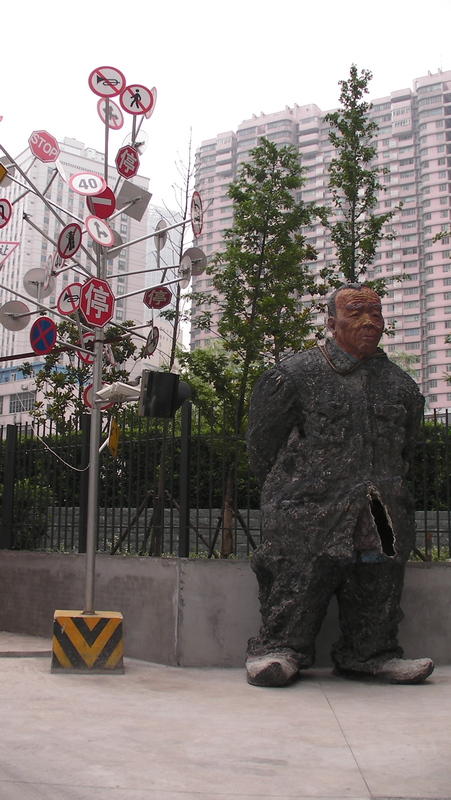 Mao – Wow. 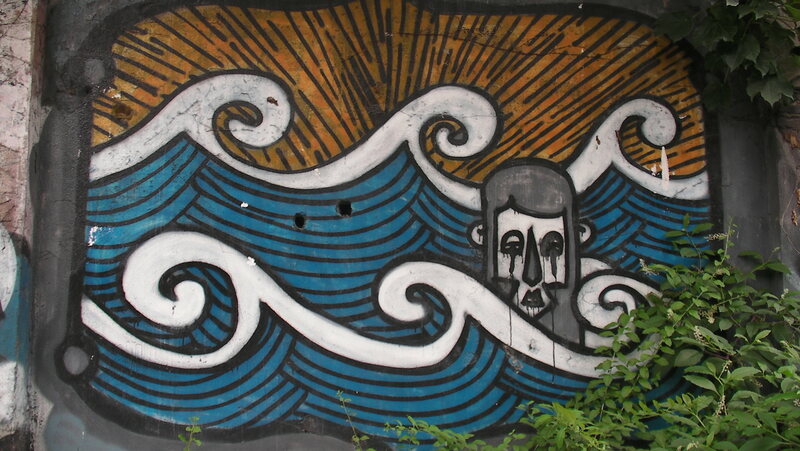 Graffiti: Some kind of Messianical Figure? Luxury Condominium Developments – This one was meant to be SOHO (Small Office Home Office). Hmmm… looked just like any other condominium to me. 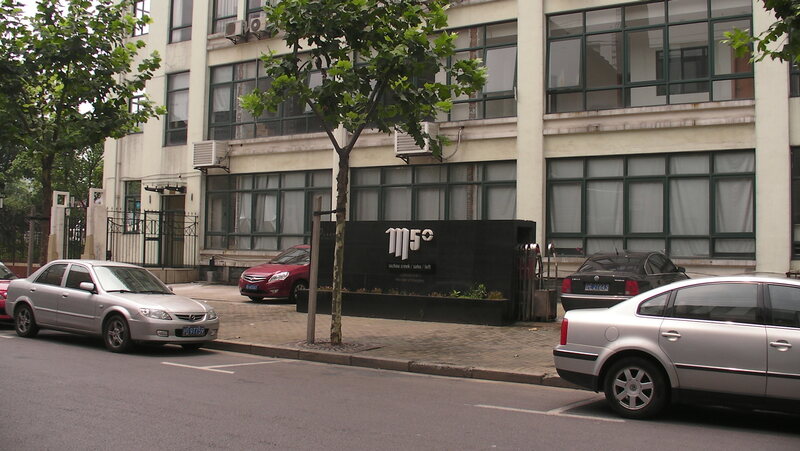 Located just across from Moganshan. 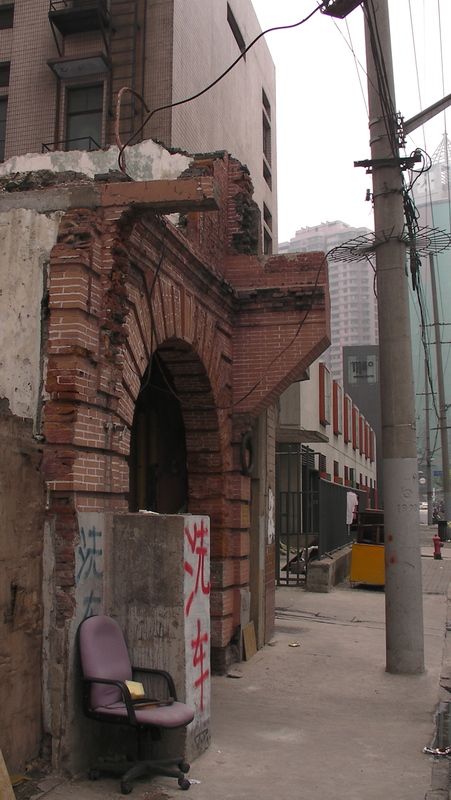 Traditional Housing – Last vestiges right bu Moganshan, fallen into disrepair and clearly slated for demolition. New Condominium Developments alongside existing ones, with rather interesting graffiti on the scaffolding (not shown here). 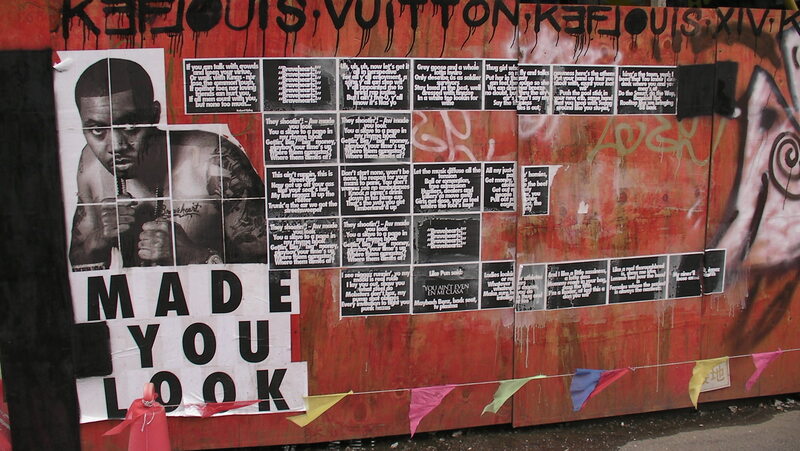 Graffiti: A Comment on Rampant Materialism? – This was on the scaffolding of the new development. 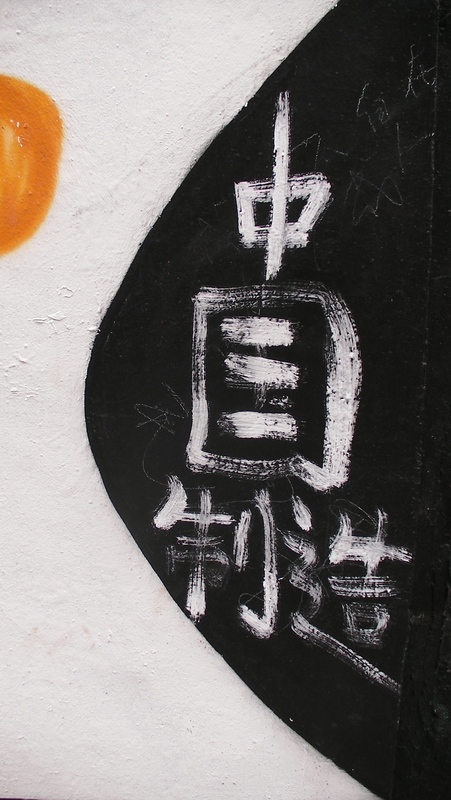 Another View of Graffiti – I couldn’t resist. Reads “Made in China.” An ironic commentary? 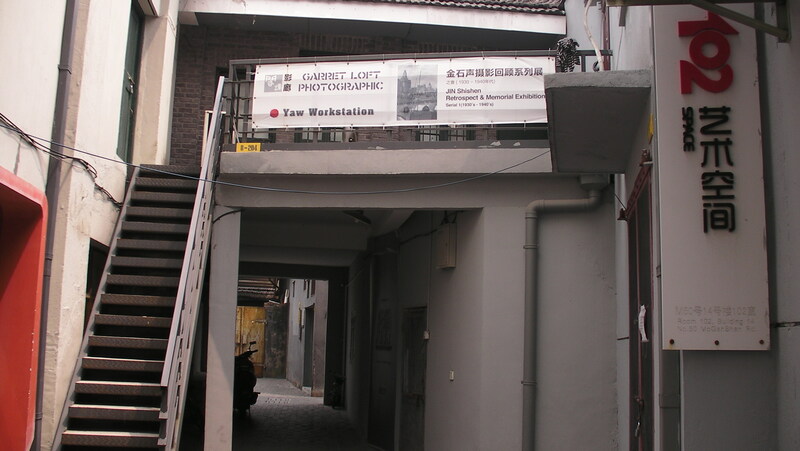 Another View of the New Development by an art gallery, and with another intrepid photo-journalist. 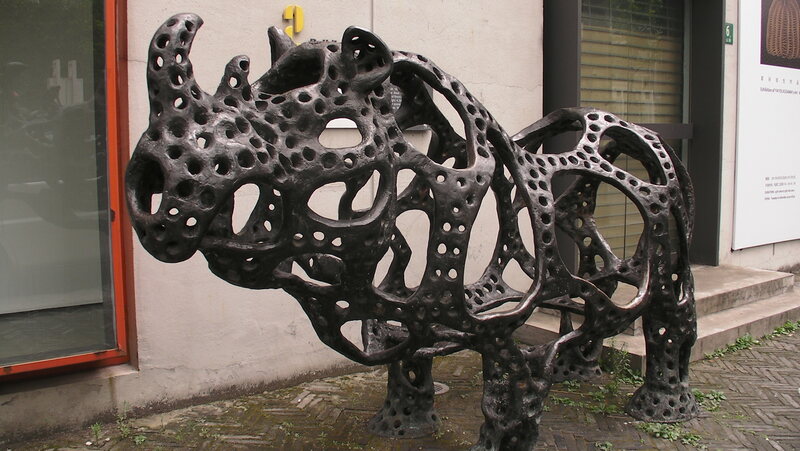 The Rhino-like Resilience of Chinese Capitalism and the Capitalist Art Marketplace – Also known as goodbye, Moganshan. 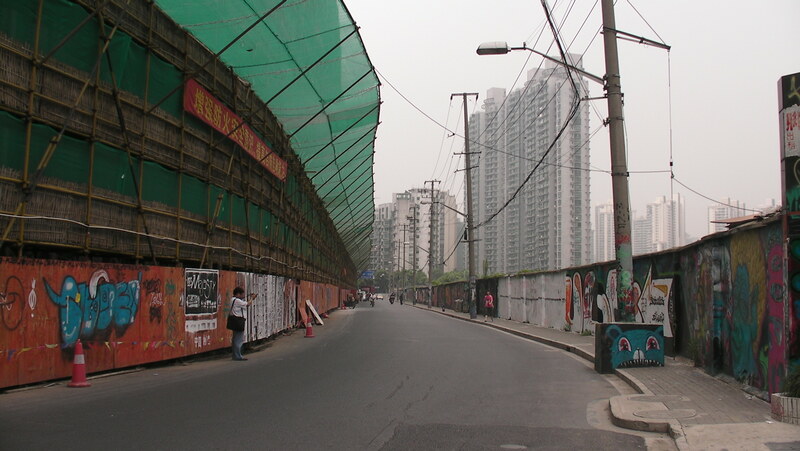 Gallery | This entry was posted in Art & Architecture, China, Cities & Regions, Sociology & Urban Studies and tagged China, 莫干山，上海, Gentrification, Moganshan Art District, New Urban Precincts, Shanghai. Bookmark the permalink.